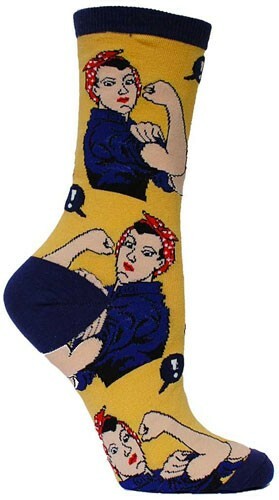 She'll know that "She Can Do It!" 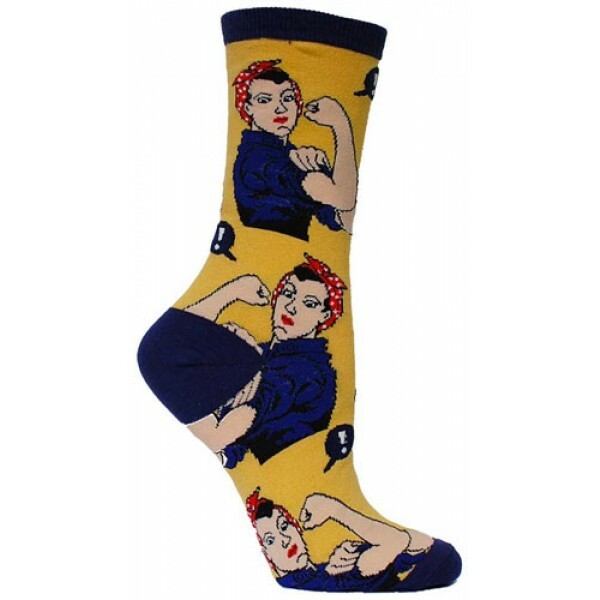 when wearing these yellow Rosie the Riveter Crew Socks by Socksmith featuring the iconic Rosie the Riveter. One size fits most. 70% cotton, 27% nylon, 3% lycra.